Remember those old Staples commercials that talked about an "Easy Button?" Aren't there so many things you wish there was an easy button for? What about Toad? Some people say there are too many buttons. I say, it's about setting up the right buttons that are useful to you. 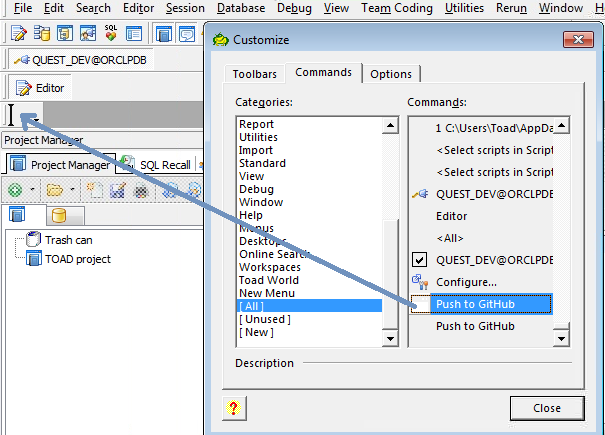 Instead of having to go to a command line I can use Toad's External Tool interface to invoke push or pull from within the Toad UI. 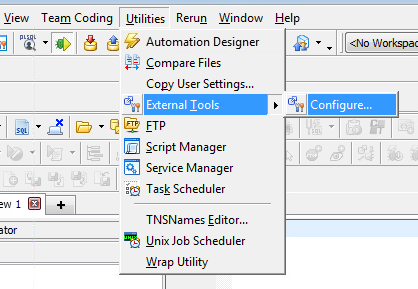 Go to Utilities | External Tools | Configure. Click on the Add button. Type in a custom title and then put a command string in the program field. I'm doing a push command to the remote repository called “origin” and setting the current branch as the upstream branch. If I click on the box below "Shortcut" and then click on any key on my keyboard, I can map this command to that key. For example, I mapped it to my unused F6 key on my keyboard. 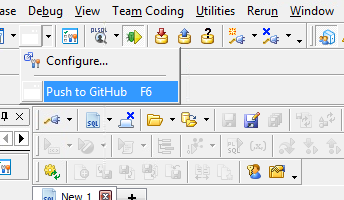 Now while I'm in Toad I can simply press F6 on my keyboard to push the latest committed copy of my repository to GitHub. I can also find it as a submenu within the External Tools Icon on my default toolbar. The icon here automatically changes to the last External Tool I call. Right now, I only have one, so it'll always show the Push to GitHub command. Even though it's called "External Tools" you can call then “Toad Automations”. 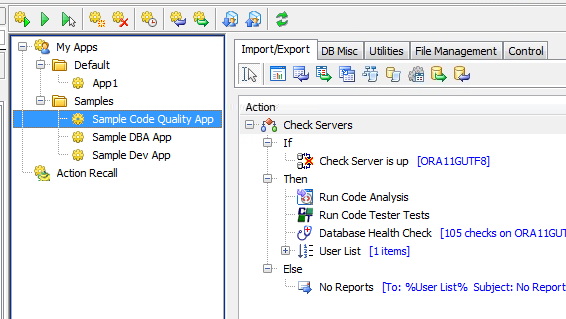 For example, check out Tim's Blog Post here, where he built a slick code-testing automation. 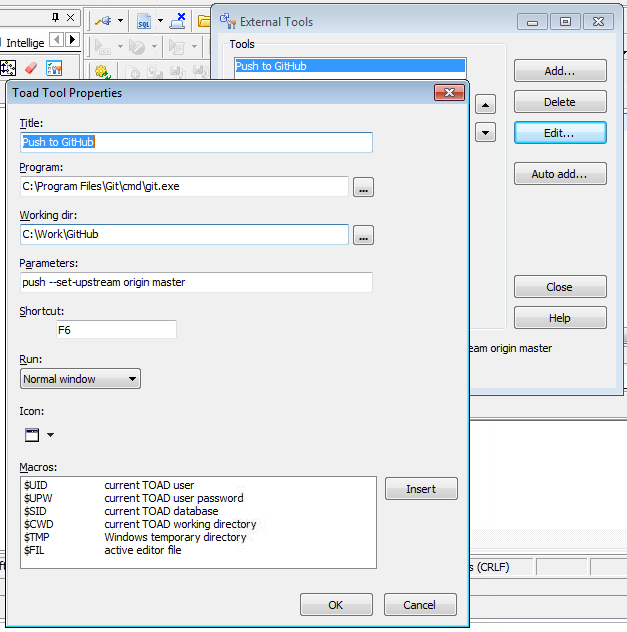 You can assign that Toad automation in the External Tools feature as well. 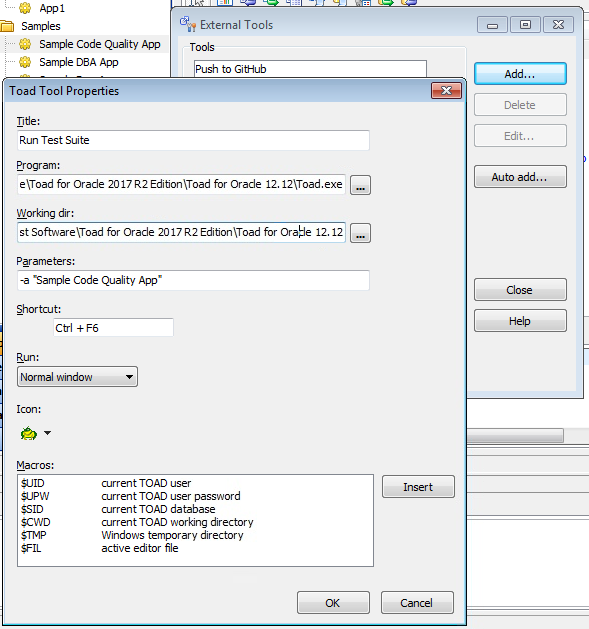 Here in my Toad Automation, I have an app called "Sample Code Quality App" which checks the database, runs Code Analysis and Unit Tests, and then does some diagnostics. Now in Toad if I press CTRL+F6 it will run my gauntlet of test scenarios. When it's done I can press F6 to push the changes to GitHub. Work smarter, not harder! Now I want my own custom toolbar. 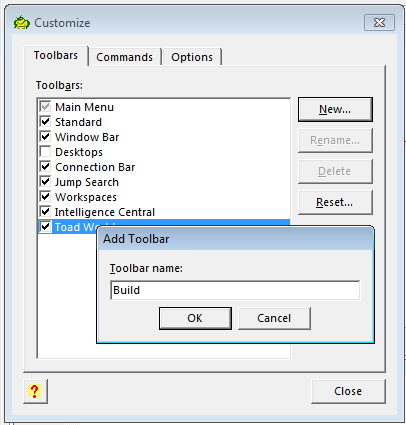 Right click on the existing toolbars and select "Customize." On the Toolbars tab, click on New. I created one called "Build". Click on the tab Commands. On the left side scroll down to [All] On the right side scroll down to the bottom and you'll find your External Tools. Drag and drop it onto your custom toolbar. You can also remove icons you don't use by dragging them off toolbars and back into the Customization window. Now I have my Push to GitHub and my Run Test Suite on an easily accessible Build toolbar. It's the closest thing you'll get to an easy button!